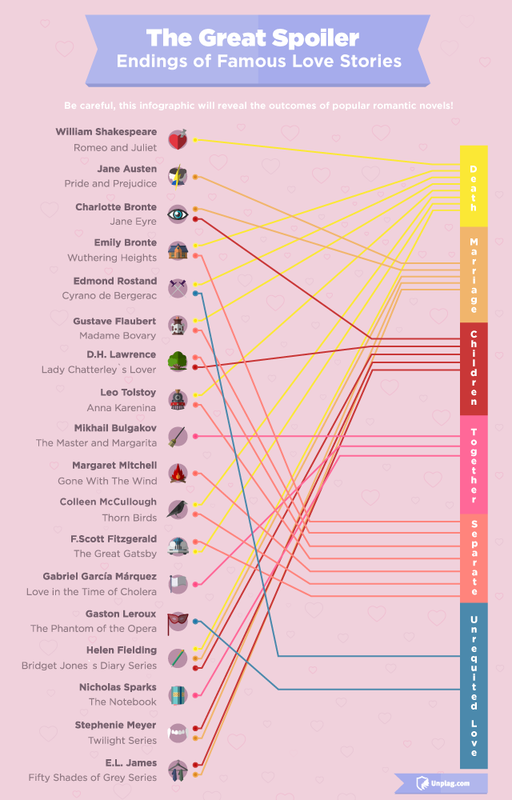 We have a new friend over at Unplag.com and they have a great infographic on Famous Love Story Endings. With love in the February air, check it out. Just be aware it's kind of a 'spoiler' if you haven't read the book yet! This infographic is attributed to Unplag.com. Please let us know what you think of this infographic! Thanks for sharing with us, Unplag. What an interesting and unusual article. I don't think I've ever seen anything quite like it! LOL, me either, Carolyn. But, it is interesting!